This is the inaugural interview of our Five Questions With A Food Founder Interview Series. We talked to Michael Horn of Craft Coffee, a coffee subscription start-up based in Brooklyn. Craft Coffee is offering Cupcakes Take The Cake readers a special discount code. Use "CUPCAKES10" when you buy your coffee online. What was your inspiration for starting Craft Coffee? Every coffee has a story. That was the original idea behind Craft Coffee. But as we built the business, we realized that we had missed something really important: Every coffee drinker has a story too! We call this your Coffee DNA. In August, we rebuilt our entire service, which is now powered by our Coffee DNA ProjectTM. Our goal is to make it really easy for you to find new coffees you’ll love. To get started, you just tell us what coffee you drink today. Then we match you to coffees we think you’ll love based on our scientific analysis of hundreds of coffee beans, and big dollop of technology. We help you find the right roast, at the right price, on the right delivery schedule. And as you rate your coffees, we learn more about you and keep improving your experience. Of course, all of our coffee is fresh roasted to order by independent roasters around the country. 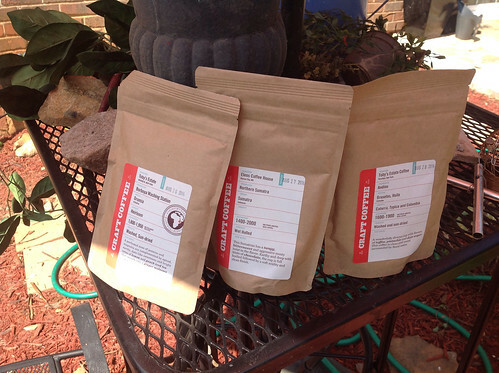 Craft Coffee pioneered a new kind of coffee subscription. And now with our Coffee DNA ProjectTM, we’ve raised the bar again. We’re really excited about the great response we’ve been getting from our customers! We’ve always loved the idea of coffee as a craft. From sourcing to roasting to brewing. Back in 2010 when we picked our name, nobody was using that term to describe what independent coffee roasters were doing. Hey, the domain was available! So it was a no-brainer for us. What websites or apps that you are use that essential for your business? We think of ourselves as the first true internet start-up in the coffee space. So our toolkit is more internet start-up than coffee company. HipChat- A great tool for team and individual communication. Everybody on the team is logged-in all day. Google Drive-All of our company’s documentation is in Google Drive. It’s essential for us every day. Google Analytics- The easiest way to get a basic overview of what's happening with your online business. Github- A very popular management tool for code, but it also has some other great features. We use a feature called Github Issues with a free plugin called ZenHub ( to do most of our product management. We also like Trello, Mixpanel, Heroku and Geckoboard. The absolute best thing is that coffee is something that is really special to so many people. When a new customer loves their first delivery and tweets or Instagrams it, that’s just amazing. When you see a customer in Japan, for example, Instagram his latest delivery. It’s like, hey, we packed this coffee by hand in our little Brooklyn office and 6 days later it’s in Tokyo and somebody there is so excited to receive it and try something new. That gets me every time. What's your favorite thing to eat with your coffee? I’m a purist. My absolute favorite part of my day is that morning cup of coffee. All by itself. Just a black cup of coffee in my favorite mug.